Dalmador - Everything you need to know about the Dalmatian Lab Mix. Home Breed Information Labrador Mix Breeds Dalmador: Are You Looking for a Dalmatian Lab Mix? Dalmador: Are You Looking for a Dalmatian Lab Mix? If you’re interested in the Dalmatian Labrador mix, also known as the “Dalmador,” and wonder if he would be the right addition to your household, then you’re in luck. 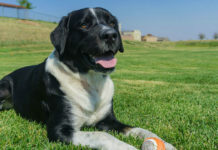 In this article, we’ll explore everything you need to know about this intelligent, friendly and outgoing dog, including where he came from, his physical characteristics and what to expect with a crossbreed. The Dalmador is the offspring of the purebred Dalmatian and the purebred Labrador retriever. He is a medium-sized dog who takes after his purebred parents’ equally intelligent, outgoing dispositions. Because the Dalmador is a crossbreed, other aspects of his personality, temperament, defining characteristics and more will be left up to chance. But what exactly is cross-breeding, and furthermore what’s up with the controversy? Let’s find out. A crossbreed, sometimes referred to as a “designer dog” or a “hybrid,” is the offspring of two purebred parents. Crossbreeding is a relatively new practice, becoming increasingly popular over the last decade. There is some controversy regarding crossbreeding. Some experts insist that crossbreeding helps reduce the chances of genetic defects prone to purebreds as a result of overbreeding. 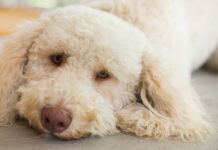 Others say that these health issues can be just as prevalent in crossbred dogs. There are also some objections as to whether or not a crossbreed dog is really just a mutt. However, documentation point out that while mutts have a lineage of several different breeds in their bloodline, a crossbreed has only two. You can learn more about some common objections to crossbreeding here. 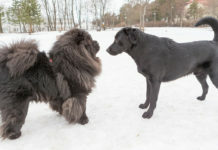 Regardless of where you stand on the issue of crossbreeding, one of the most important things to do when deciding to add a new dog to your household is to learn as much about your desired breed—or crossbreed—as possible. Because the Dalmador is still a relatively new crossbreed, there is very little known about his origin. 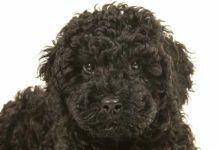 Both his purebred parents have fascinating histories, however, and their distinctive roots can help to give us some insight as to what their Dalmador puppy is all about. We’ll begin with the Labrador. 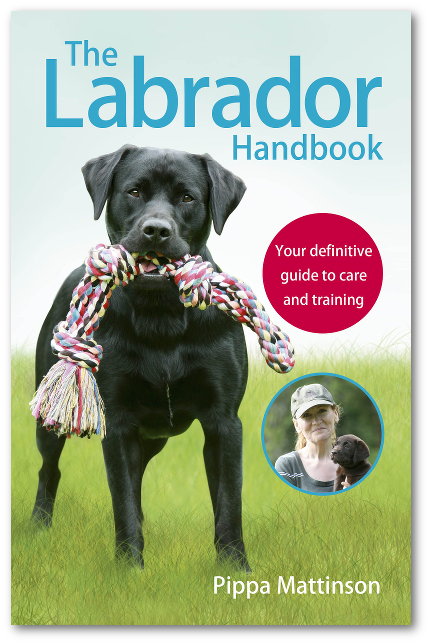 The Lab is an incredibly intelligent dog that originated in Northwest Newfoundland, Canada. Before the Lab was a Lab, he was known as “St. John’s Dog,” and he was mostly bred for hunting. The Lab was first registered by the American Kennel Club (AKC) in 1917, where his popularity quickly rose amongst families and breeders alike. Today, the Lab sits at number one on the AKC’s registry, naming him as the top most popular dog in the United States of America. His popularity can likely be attributed to his gentle, intelligent nature, giving him that family-friendly reputation he’s famous for. Although the Lab was originally bred for hunting, his primary job these days is to be a doting family companion. But don’t be surprised if you see a Labrador working with officers as a narcotics detection dog, or even leading the way on a search-and-rescue mission. He’s as brainy as he is sweet and still enjoys a good day’s work. Labs even make great service animals to their human counterparts, working as guide dogs for the blind or emotional support dogs. So, what about the Dalmatian? The dignified Dalmatian is renowned for his black and white spotted coat and athletic build, and he has a captivating lineage that can be traced all the way back to the 18th century. It is widely believed the Dalmatian originated in Croatia, where he was once used in war to guard the borders of Dalmatia, a region in Croatia. (Hence the name ‘Dalmatian’). The Dalmatian became a symbol of status during the Regency Period in Great Britain, where beautifully spotted Dalmatians were coveted by royalty and those who held a very high status in the community. The Dalmatian has also found use throughout history as a hunting dog, a circus dog and a guard dog. The Dalmatian was first registered by the AKC in 1888 and currently sits at number 62 on the list of America’s most popular dog breeds. The outcome in regard to things like temperament can be unpredictable when it comes to crossbreed dogs, and this is one of the controversies on the subject. 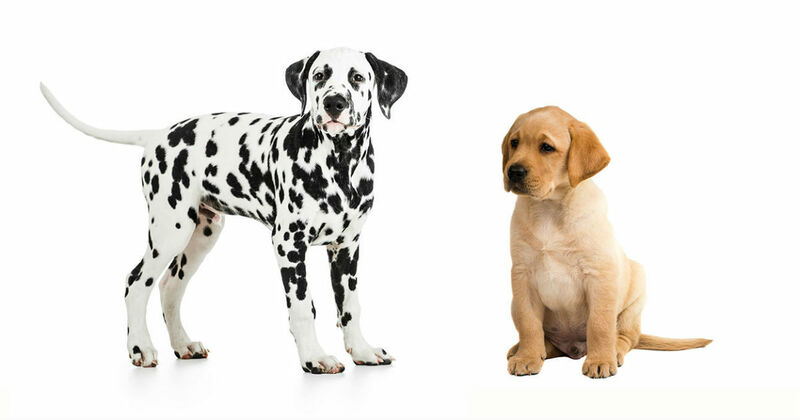 Because the Dalmador could inherit behavioral traits from either of his purebred parents, it’s important to take a close look at the temperaments of both the Dalmatian and the Labrador. Doing this can help give us some insight into the possible temperament traits your Dalmatian Labrador mix could inherit. Let’s begin with the Labrador. Labs are widely known for their intelligence. They are eager to please and make excellent family dogs, as they do so well with children of all ages. They are patient and obedient. However, they are highly energetic, especially as puppies. Labs are also prone to chewing and will require an abundance of toys and chew bones to help reduce the chances of household damages. Because Labs are so high-energy, they require regular exercise and love nothing more than being part of family activities. The Dalmatian is renowned when it comes to show, utilizing his athletic charisma and grand nature. He is obedient and loyal, and very intelligent. The Dalmatian is also very outgoing and energetic, just like the Lab. He is built for long excursions, so he requires and enjoys lots of exercise. Although the Dalmatian can make a good family pet, he does have some guarding instincts, meaning he can become protective and territorial when it comes to strangers. For this reason, it is best that the Dalmatian be supervised around small children and other pets. Because the Dalmador is a cross between the Dalmatian and the Lab, he could be prone to any of the above temperamental traits. As with all dogs, we recommend implementing early socialization and training methods with your Dalmador to help reduce behavioral and temperamental issues. Just like with temperament, the Dalmador can also inherit a wide range of physical traits from both his purebred parents. This means features such as coat color, weight and height will be left up to chance, depending on which parent the Dalmador takes after most. The full-grown Labrador will grow to be 22-25 inches and weigh about 55-80 pounds. The full-grown Dalmatian will be 19-24 inches tall and weigh around 45-70 pounds. The Labrador has a short coat and is mostly a seasonal shedder. 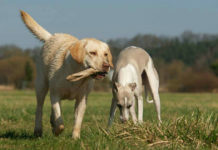 The Lab should be brushed regularly to keep his coat at its best, and all that loose hair off your couches and carpets. The Labrador’s ears require weekly cleaning to keep wax and moisture at bay, and his nails will need regular grinding or trimming to avoid cracks and splits. The Dalmatian has a shorter coat as well and is also a seasonal shedder who requires some brushing. His nails are strong, so he requires regular trimming or grinding to ensure they don’t crack or split. The Dalmatian will also need his ears cleaned regularly to avoid waxy buildup and infection. 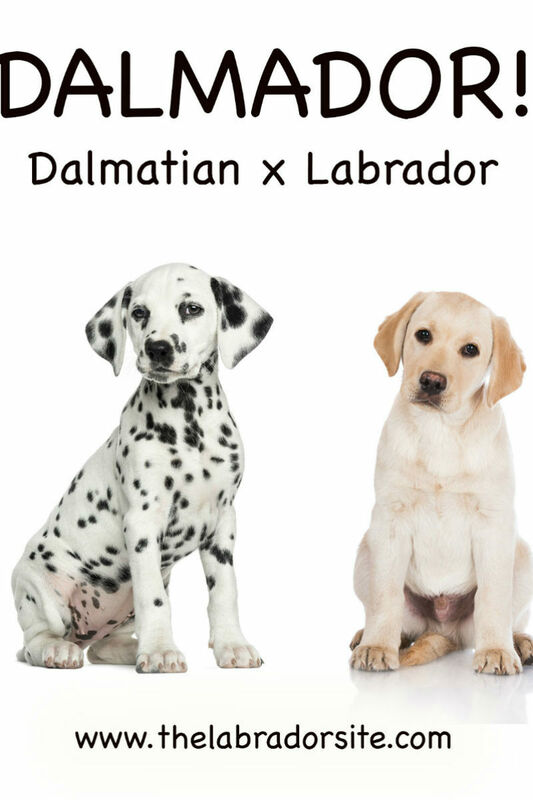 Because the shedding and grooming are so similar for both the Lab and the Dalmatian, you can expect the Dalmador to require the same amount of maintenance as his purebred parents. Because both the Dalmatian and the Labrador are so intelligent, a prospective owner of the Dalmador can prepare for a treat when it comes to training. The Labrador, for example, is famous for his ability to learn and pick up commands. Training him proves simple, as he loves to learn and enjoys a challenge. However, as we previously mentioned, the Lab is very high energy, especially in his youth. Still, with patience and consistency, the Labrador makes an excellent student. The Dalmatian is also a pretty active dog who needs plenty of exercise to maintain his health and happiness. He has very little patience for boredom and, like the Lab, has been known to become destructive when not exercised enough or when left alone for too long without proper toys or activities. He is intelligent and responds well to training, which is what makes him such a successful show dog. In fact, the Dalmatian is known to excel in obedience training. Seeing as both the Labrador and the Dalmatian are very energetic and can be prone to destructive behavior if bored, we recommend early socialization and proper training with your Dalmador puppy. This will help you to channel your Dalmador’s energy in a positive way, while a variety of toys and plenty of exercise should help keep him from getting overly excited or destructive to property. As with all crossbreeds, the Dalmador can be prone to inheriting health issues from either of his purebred parents. 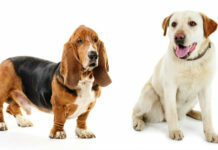 We recommend researching the health issues prone to each of your crossbreed’s purebred parents. In this case, we will begin with the Lab. A healthy Labrador’s lifespan is 10-12 years. The purebred Labrador can be prone to suffer loose knee joints, elbow and hip dysplasia, ruptured ligaments in their hind legs, eye disease, heart disease, epilepsy, cancer, and chronic allergies. Labs are also more prone than average to suffer the gastrointestinal syndrome, Bloat. The purebred Dalmatian has a lifespan of 11-13 years, and can be prone to hip dysplasia, deafness, obesity, urinary stones, epilepsy and hyperactivity. Keeping the above in mind, your Dalmador’s lifespan could be anywhere from 10-13 years, and his health issues could vary depending on what issues his purebred parents have passed on to him. Early health screening in your Dalmador can help avoid or prepare for future health issues. Keep in mind that reputable breeders will be able to provide certificates regarding the health of the parent breeds, proving they have been screened and cleared of certain health issues. You can learn more about the health testing requirements as specified by the AKC for the Labrador and the Dalmatian here. Seeing as both the Dalmatian and the Labrador are prone to overeating and obesity, it is important to maintain a healthy diet plan for your Dalmador. We recommend healthy food brands as specified by your veterinarian, as well as implementing daily exercise to keep your Dalmador in tip-top shape. This could include daily walks, visits to the dog park, and even romping and playing in the yard. The Dalmador’s purebred parents are both active and intelligent, so any prospective owner who enjoys being outdoors and has the time and patience for training will love this crossbreed. Because the Dalmador is a medium-sized dog who is highly energetic, he will do best in a home with a yard and an owner who is able to take him on consistent walks or jogs. For the most part, the Dalmador should do great in homes with children, but remember that the purebred Dalmatian can be prone to guarding instincts, so it is important to supervise the Dalmador around smaller children and pets. Getting your Dalmador from a reputable source is of the utmost importance. We recommend doing plenty of research before you decide where you get your Dalmador. Shelters carry all types of breeds and crossbreeds. However, finding the Dalmador for certain at a shelter could be hit or miss, depending on what’s available at the time. Although most shelters incur fees, they are often a fraction of what some Dalmador breeders will charge. You can prepare for most adoption fees to be anywhere from $50-$100. Most shelters will even cover initial vet fees, ensuring the dog is adoptable and ready for his new home. If you are seeking a Dalmador from a breeder, be ready to spend anywhere from $500 to over $1,000 depending on the breeder and the history of the Dalmador’s purebred parents. Make sure you also ask reputable breeders about temperamental issues with the Dalmador’s parents and previous litters, as well as any health concerns that have arisen in the past. If you are still unsure about where to go to find your Dalmador puppy, you can always attend local dog shows. Networking at events such as dog shows can help point you in the right direction. Previous articleDo Dogs Like Kisses – Should You Kiss Your Pup?